I've very nearly finished my Christmas shopping - there are still a few niggly little gaps in my list which I need to fill, but in the main, my Christmas corner is filling up nicely! With my friends and family, we tend to get lots of small gifts and it's quite unusual for anyone to think of one really big gift they want, so it means I get to enjoy picking out all sort of stocking filler type bits and pieces. I felt like it was getting a bit late to do this post, so even though I have a few deliveries still to arrive (including the world's slowest ever asos order due to the Black friday madness! ), I thought it was time to show you some of the smaller gifts I'm getting and giving this Christmas. 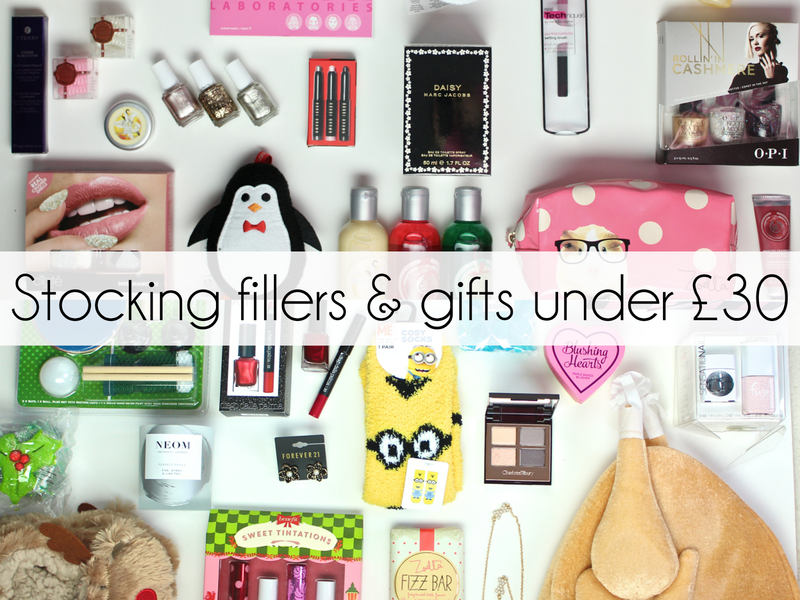 I've found some excellent stocking fillers in Primark this year, and they're all super cheap! The pug slippers are my best find so far and I can't wait to wear my clip in antlers on Christmas Day! The Body Shop has also given me plenty of inspiration and I've bought quite a few of those cute little character bath / shower sponges as stocking stuffers. I love a sparkly nail polish for Christmas and can't wait to tear into the OPI trio and the new Essie polishes I've picked up. Another gift I'll be keeping for myself is the quirky but cute REN minis set, because the rose otto scent is just gorgeous - I love their cool new gift set packaging this year. There are a few more slightly random gifts in this second collection, and they're all for my only favourite, annoying little brother. I told him if he didn't tell me what he wanted for Christmas he was going to get a turkey hat... he thought I was joking. The minion socks, although equally random, are actually for me, I love Despicable Me so much and have also found some amazing Agnes and fluffy unicorn pj bottoms! I've been buying lots of Forever 21 jewellery for Christmas gifts this year - they always have such cute stuff and it's so reasonably priced too. 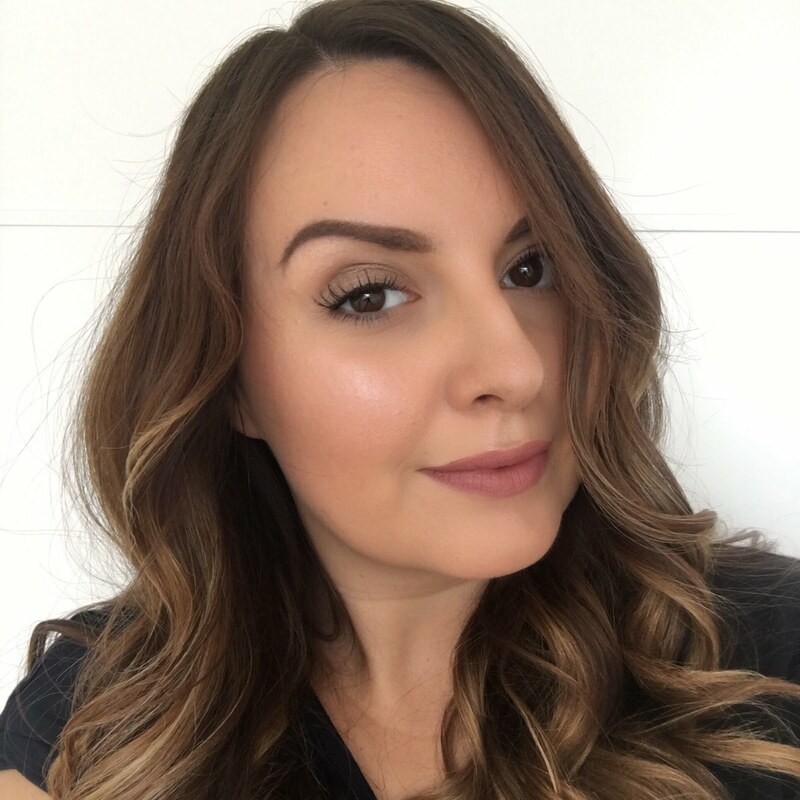 Tanya Burr's lashes and Zoella's Fizz Bar are also excellent girly stocking fillers and I love that I'm supporting blogger ventures! I couldn't resist picking up some of Lush's Christmas bubble bar favourites, and also NARS' Audacious lipstick in Charlotte and the Diego Della Palma red passion lip and nail duo, which are all super festive reds, perfect for the holidays and party season. Now I have to get wrapping this lot! What are you stuffing your stockings with this year?